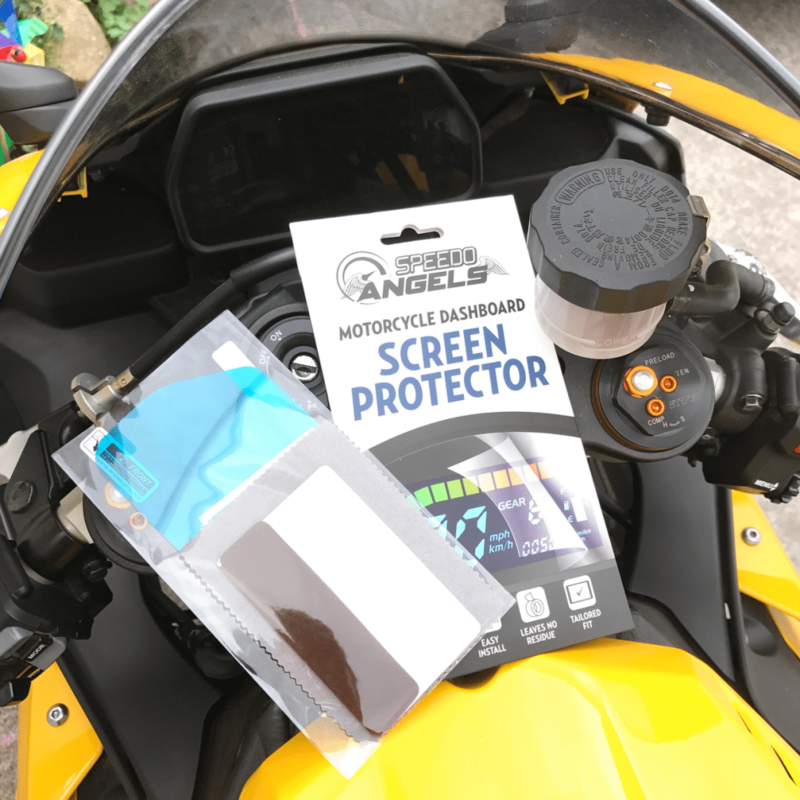 Our screen protectors can be fitted wet or dry. 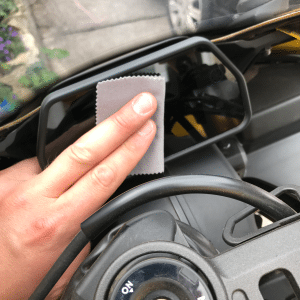 We recommend to fit them wet as this is very effective at removing air bubbles & allows easier alignment. 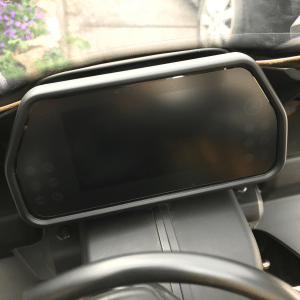 Our first fitting tip is to take a screen protector and lay it on the dashboard so you get an idea of where it needs to be once fitted. 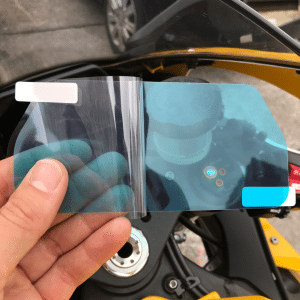 We purposely make our screen protectors slightly smaller than the actual screen to help with the fitting process. 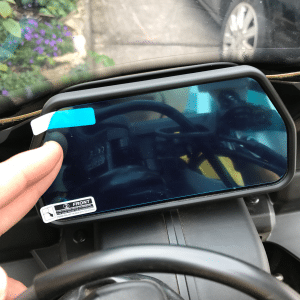 On a dashboard screen with a complex shape – such as the YAMAHA MT-10/FZ-10 for example – this step is very important. 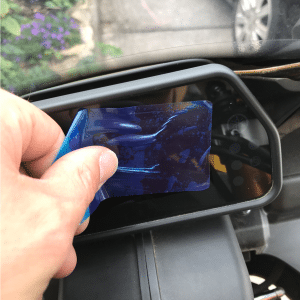 You don’t want to have to keep removing your protector to try and get it lined up properly. By lining it up before removing the backing layers this will help when you’re ready to stick the protector down. 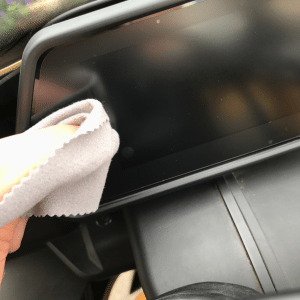 The most important part of the entire process is cleaning the dashboard. It is vital that it is as clean as possible. 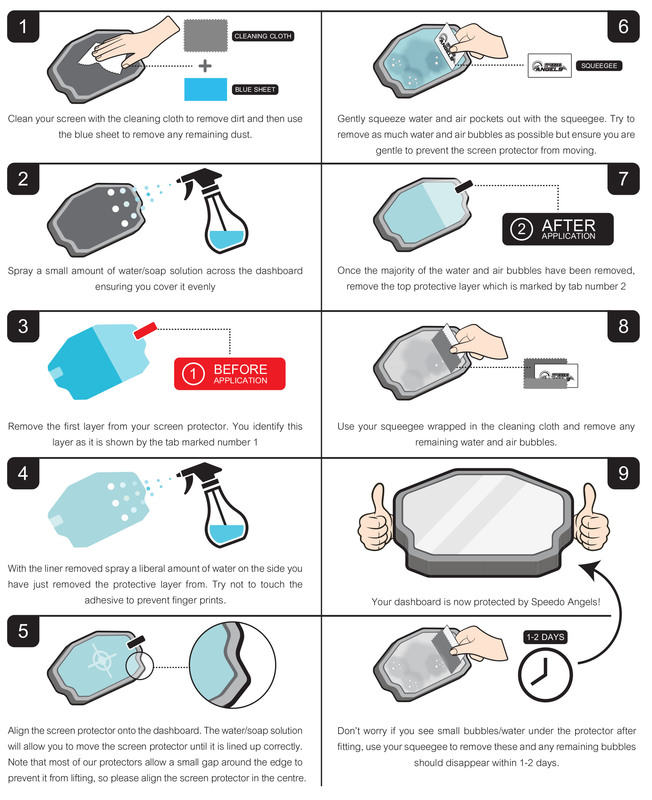 Any tiny amount of dirt/dust on the screen will result in a a bubble on your protector. 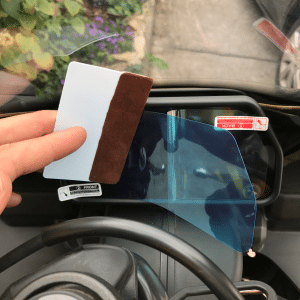 Unfortunately it is extremely difficult to remove 100% of dust but it is important to spend a good amount of time attempting to.